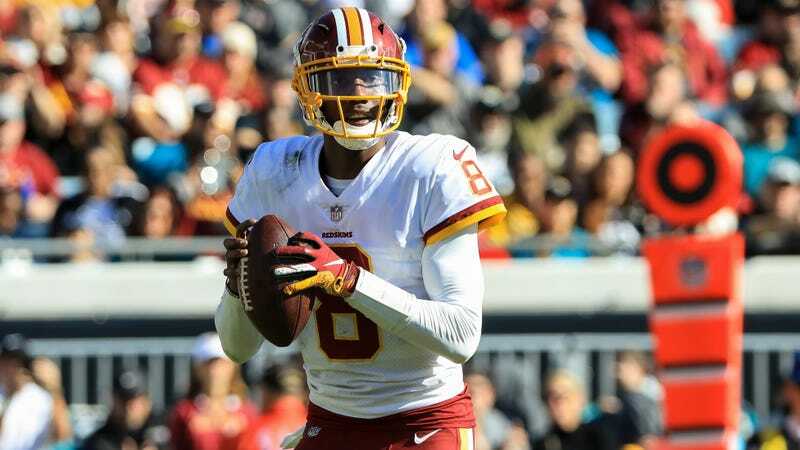 The most useful takeaway from Washington’s 16-13 win over Jacksonville wasn’t that the Jaguars are in a very dark place right now, but that a quarterback like Josh Johnson, seven years removed from his last start, can still be successful in the NFL despite an extended layoff from football. Huh! The two QBs combined to throw 208 yards, one touchdown, and one pick, and they were sacked a total of nine times. While Johnson was the superior performer, his team still trailed through three quarters. Washington found itself in that position after the special teams unit handed Jacksonville a punt-return TD thanks to Byron Marshall pushing Dede Westbrook’s lead blocker out of bounds. The Jaguars tacked on a field goal to take a 13-6 lead, and then their defense simply let Johnson beat them through the air. 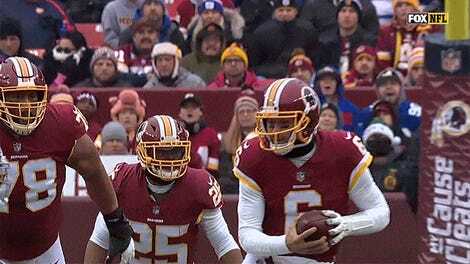 Despite shades of competence appearing on the field—Yannick Ngakoue strip-sacked Johnson, but offensive lineman Morgan Moses recovered—Washington received another dash of good fortune that kept the drive alive. Four plays after that lucky bounce, Johnson completed a six-yard touchdown pass to Jeremy Sprinkle to tie the game at 13. The Jaguars gave the ball back on the ensuing drive when Kessler’s pass to Westbrook deflected off the receiver’s hands and ended up with cornerback Fabian Moreau. Adrian Peterson ate up some yards to get Washington into field-goal range. When Dustin Hopkins hit the game-winner, Johnson, who earned his first career win as a starter, couldn’t help but let the emotions flow. That this ugly victory kept Washington in the playoff race probably makes it that much sweeter for Johnson. Meanwhile, the Jaguars ought to be contracted.